Home » Blog, Event Winners, Tues Weekly Winners Photos » Tues 19-06 : Erik Wins Again! 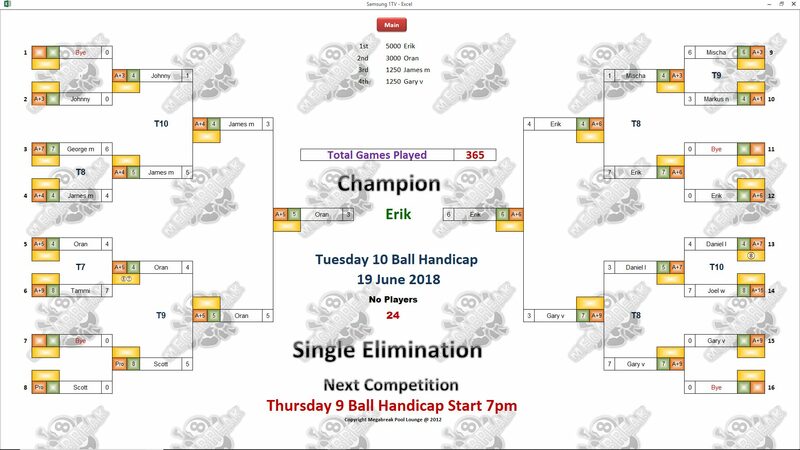 Tues 19-06 : Erik Wins Again! 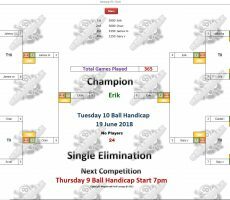 TUESDAY 10 BALL – 19th JUNE : ERIK WINS AGAIN. 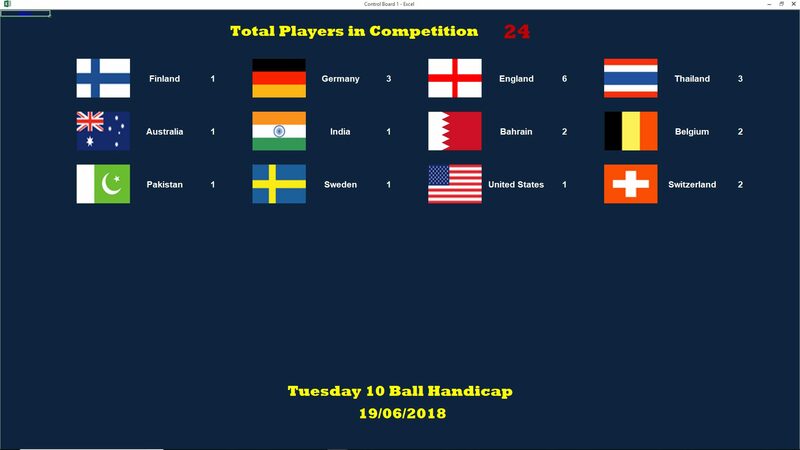 Sweden’s Erik Makitalo won his second tournament here in the space of 48 hours on Tuesday night to become our 10 Ball Champion for this week. 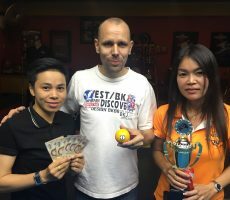 Having not won a competition here since June last year until his victory on Sunday, he continued his run of superb form to lift the trophy for the second time in two days and scoop the 1st Prize of 5000 baht. 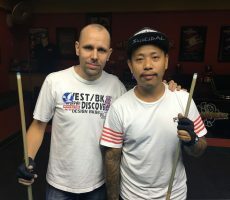 From a total entry of 24 players, he beat local Thai player Oran Olbird Ornkt in the final by 6 racks to 3 (race 6-5). 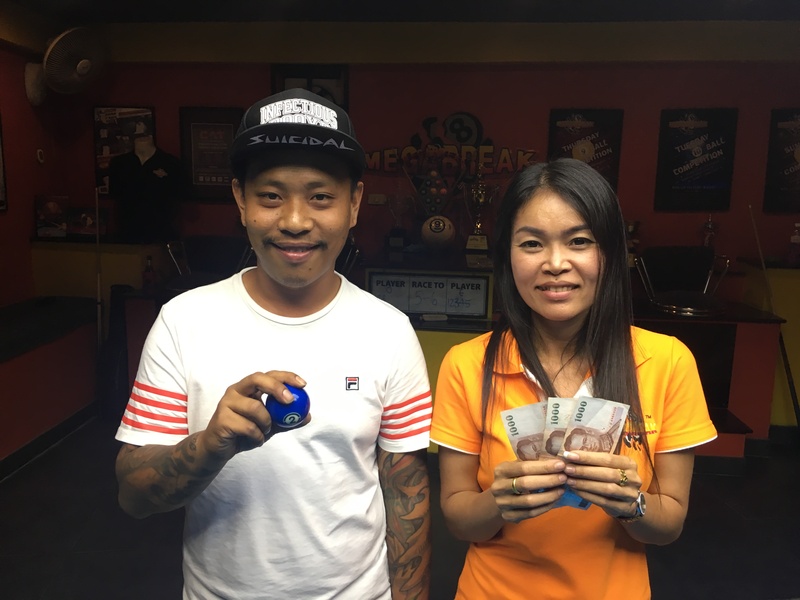 Consolation for Oran, who was reaching his third 10 Ball final in the last four weeks, was receiving 3000 baht in 2nd Place. 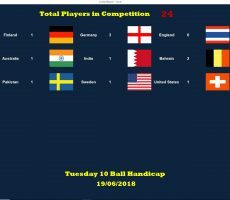 Gary Vinson from England and James Mostag from Australia were the other money winners on the night, pocketing 1250 baht each for meeting their demise in the semi-finals. 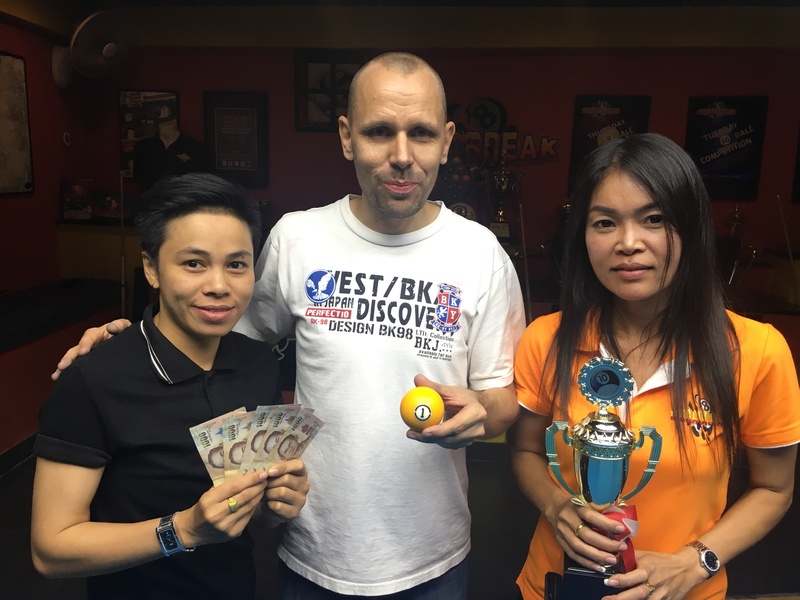 Champion : Erik (A+6) – 5000 baht. 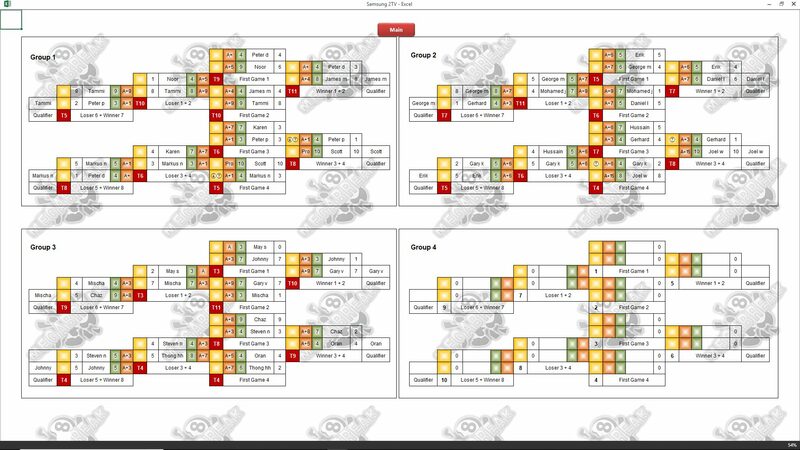 Runner-Up : Oran (A+5) – 3000 baht. 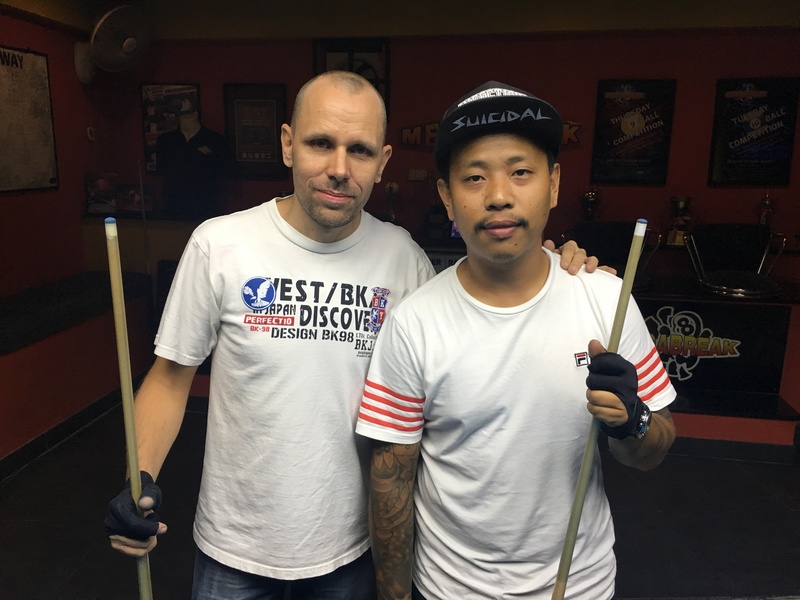 Semi-finals : Gary (A+9) and James (A+4) – 1250 baht each. The Player Auction Prize Pot totalled 24700 baht and was won by Gerhard Schebler. 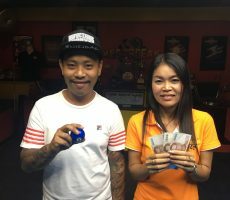 He paid 1000 baht for our champion, and they shared the 1st Payout of 10k. 1st (40%) : Gerhard (Erik) – 10000 baht. 2nd (30%) : Olly Downey (Oran) – 7500 baht. 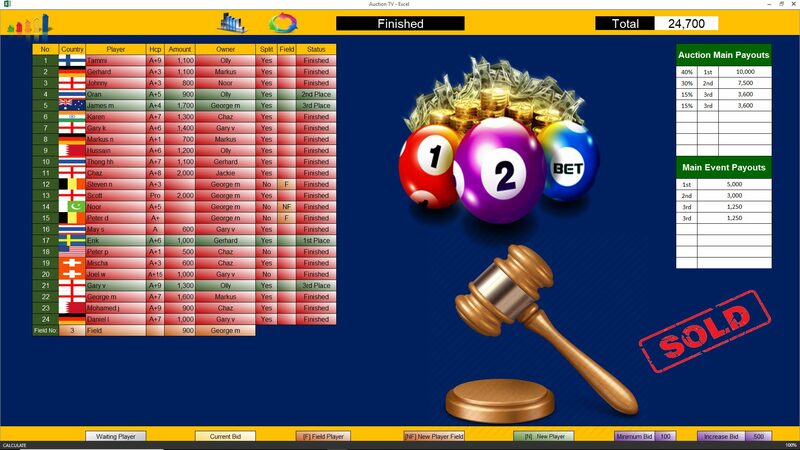 Equal 3rd (15%) : Olly (Gary) and George Merrington (James) – 3600 baht each.